Congratulations to Michael Ford for winning! I am currently 69 years old and weigh 183 lbs, down 65 lbs as a result of dieting, properly planned out and executed weight training and a cardiovascular and recovery program. First, my left hip was replaced in August of this year. If you've ever met me, you would understand that I was ready to return to the gym the next day. However, Adam put together a list of home tubing exercises to focus on during my recovery and promised that the weights would still be there when I was ready. Upon my return, we started slowly. 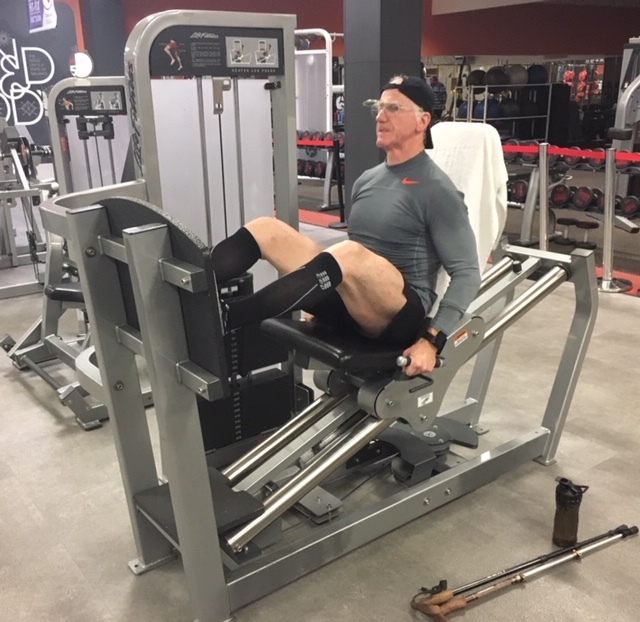 Now, I am leg pressing well beyond my weight, my heart rate has lowered considerably and I'm getting compliments from the Burlington Mall GoodLife community who have seen me along this journey. Today, I feel energized. I am a GoodLife workout enthusiast that has quality of life back in the picture thanks to my personal trainer, the unwavering moral support the personal training staff and also from the front desk staff who greet me daily; management whom always checked in, the other members of the club whom shared their own personal stories with me; and even as far as GoodLife's CEO Patch, whom impressively can take time out of his day to get back to a Member's email.